This older 2-bedroom apartment on Calçada Poço dos Mouros, in Arroios, has 2 tidy rooms for rent. 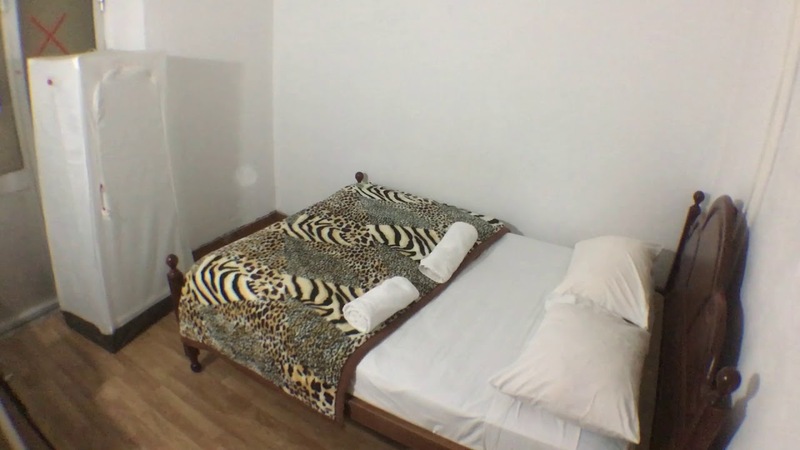 The property has minimalistic decor, but provides fully furnished bedrooms with independent keys and storage space. There is 1 shared bathroom. However, there is not an equipped kitchen. The apartment is located in Arroios, a previously industrial area that is undergoing a revitalization. Arroios boasts an interesting mix of architecture styles and has a plethora of bars and restaurants to explore. Also, the metro is handy to help you zip around town. There is a large roof top terrace with picturesque city views, perfect for enjoying a glass of wine in the evening! Each bedroom is equipped with a standalone wardrobe. Arroios is the perfect neighborhood for students. It is well connected to the rest of the city, has affordable housing, and has everything that you need close by. The apartment is located on the 1st floor and there is no elevator. The unit is not equipped with either heat or AC. Bedroom 2 has a double bed and is fully furnished. The bright room has access to a private balcony and offers ample storage space with a standalone wardrobe and a desk. The Arroios Metro, which serves the green line, is a 6-minute walk from the apartment.